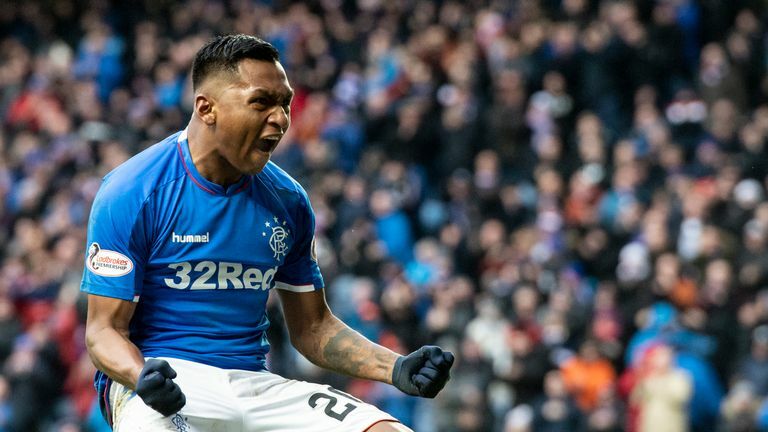 Alfredo Morelos will be available for Rangers' Old Firm meeting with Celtic after no disciplinary action was raised against either him or Kirk Broadfoot following their weekend clash. The Scottish Football Association's compliance officer reviewed the incident which saw the Colombia striker appear to lift his arms to Broadfoot after it looked like the Killie defender raked his studs down Morelos's Achilles. The incident took place following the half-time whistle during the 1-1 Premiership draw at Ibrox on Saturday. However, neither Morelos nor Broadfoot will be cited due to insufficient evidence available to SFA compliance officer Clare Whyte. It means Morelos, 22, will be available for the trip to Parkhead on March 31, live on Sky Sports, following the international break, while Broadfoot is clear to face Hamilton the previous day. Rangers slipped 10 points behind Celtic at the weekend while the stalemate at Ibrox saw Kilmarnock secure a top-six place ahead of the Premiership split.